Microfleece with full zip in black and raglan sleeves, adjustable drawstring at the bottom of the jacket, elastic wrist straps, two pockets with hidden zip and a chest pocket with zip. Neck with contrasting border, reinforced stitching. 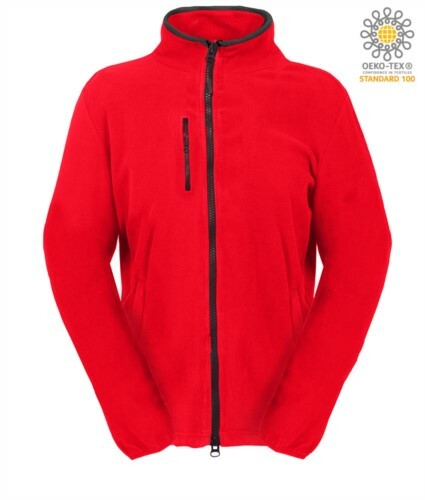 Dear friend, I suggest you this article: Long Zip Woman Pile; You can find it on the web at: https://www.castbolzonella.it/scheda.asp?content=.